A nature book unlike any other, Jordan Fisher Smith's startling account of fourteen years as a park ranger thoroughly dispels our idealized visions of life in the great outdoors. Instead of scout troops and placid birdwatchers, Smith's beat -- a stretch of land that has been officially condemned to be flooded -- brings him into contact with drug users tweaked out to the point of violence, obsessed miners, and other dangerous creatures. In unflinchingly honest prose, he reveals the unexpectedly dark underbelly of patrolling and protecting public lands. Jordan Fisher Smith has been a park ranger for more than twenty years in Idaho, Wyoming, Alaska, and California. 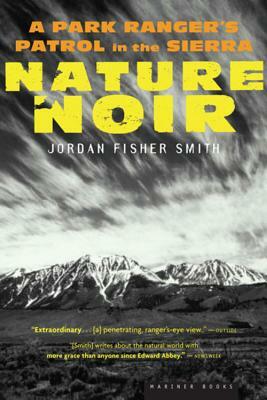 Nature Noir is his first book. He lives with his wife and two young children in the northern Sierra Nevada.